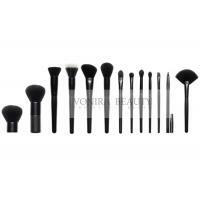 Who else is tired of those basic and boring black makeup brushes? I sure am! 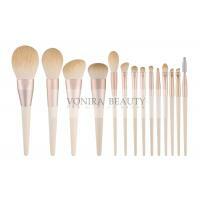 The 8 Piece Matte Professional Makeup Brushes in Gold is a breath of fresh air. 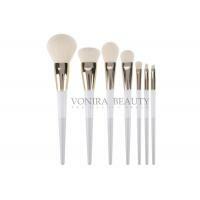 These luxurious looking brushes don’t just look good, they function better than most brushes. 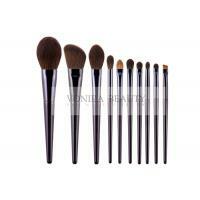 These are professional grade makeup brushes that will quickly become your favorites. 1. 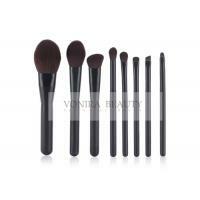 High quality mini makeup brush set. 2. 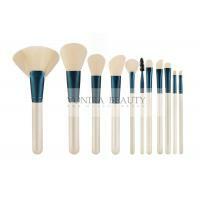 Goat hair foft feeling Bio-Tech synthetic hair brushes. 7. 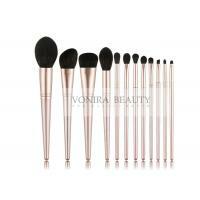 Total 8 pieces brushes for facial makeup: Concealor Brush,Eyebrow Brush,Uniform Powder,Eyeshadow Brush etc. 8. Adopts natural high quality Bio-Tech soft goat hair feeling function which provides superb ability to hold powerder, soft and pleasing for your skin. 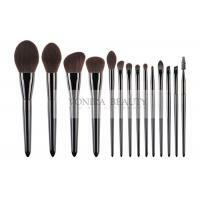 WASH - Wet brush head with warm water and work a small amount of cleanser into bristles. Use the Brush Cleaning Glove to thoroughly wash brush until fully clean. Rinse brush and squeeze out any excess water. 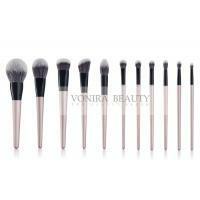 SHAPE - Place your clean, damp brushes into the Dry'n Shape using the smallest band the brush will fit into, making sure that all bristles are firmly compressed. 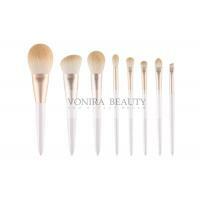 DRY - After 4 to 6 hours, your brushes will be completely dry and reshaped to their original form - guaranteed!